If you’re looking for some ideas for better bidding, here are some hints and tips from DealDash. Being a new bidder on DealDash is fun, but it can be tricky to figure out how to become a better bidder. Have you thought about how to step up your bidding game on DealDash? Being the best bidder that you can be is a worthy goal, and can end up saving money. Read on for more information about bidding on DealDash. DealDash is fun and simple to use. However, there are many little tips and tricks that can make your life as a bidder even better. Learning about DealDash is easy, though, because there is information on the site, a tutorial, this blog, and also the DealDash Tips blog. DealDash wants to you to be able to have access to all of the best tips and tricks available. You can also simply learn by bidding on DealDash. Remember, practice makes perfect. Don’t drive distracted on the road, and don’t bid distracted while you are bidding on DealDash. If you’re a newer bidder, you should really try to stick to only bidding on one auction at a time. If you see two items that you are interested in bidding on, do a search with the search bar and see if there is an auction starting later for one of the items. If you can’t find a second auction for one of the items that you really want and have to bid in two auctions at once, then use your BidBuddy. The BidBuddy is a valuable auction tool that DealDash provides for everyone to use. The BidBuddy helps you bid when you can’t watch an auction closely, and helps you win. If you’ve only been bidding on DealDash for a short time, then you might not have noticed that the prices on DealDash fluctuate daily. Sometimes they are .19, some days they are .15, and occasionally they are .12, with all different prices in-between. When I see bids for an excellent price such as .12 or .13 each, then I always buy the biggest bid pack that fits into my budget. If you’re buying bids when they aren’t having a good sale, then you’re just wasting money. Don’t forget to take some time after reading this article to browse the different areas on DealDash before you start bidding. Don’t miss the “Tips and Tricks” section in the help area on DealDash. Once you’ve observed a few auctions on DealDash, you can feel good about placing your bids. I hope that this article on bidding was helpful for you. DealDash has everything that you need for your home and family, from home decor products to lawn and garden items. Go check out the site and bid on some great items. Have fun on DealDash, and happy bidding everyone! DealDash can be fun, but sometimes if you think about winning too much you can psyche yourself out. Read this article, it will help. Newbies and long-time DealDash players alike can think about winning a certain auction and psyche themselves out. This can lead to less enjoyment when using DealDash. Bidding in auctions is supposed to be fun and entertaining, not stressful. There are a few things that you can do to lessen the chance of psyching yourself out, so read on for more information from DealDash. I know that I will occasionally watch as auction as it’s going, just waiting for the right time to jump in and bid. Honestly, that’s a good way to psyche yourself out, just waiting and watching. It would be a better plan, in my opinion, to simply place 1 bid to keep yourself in the game. This way you can relax a little, and not be constrained to thing that you need to jump in bidding before you’re ready. Once you have taken the pressure off of yourself and you know that you aren’t locked out of the auction then you can relax and observe. You can pay attention to the bidders coming and going before you make your move. Occasionally there will be a “one-off” auction on DealDash that never returns. I can only think of a few things that were only auctioned once and never to be seen again. I know that many people can feel psyched out if they think it’s their “one big chance” to get something. You can alleviate this feeling by simply browsing through the future auctions on DealDash, or typing the item into the search bar. If you see that there is another auction for the same item starting the next day then there’s no reason to psyche yourself out about “missing” this one if you aren’t able to win. If you see the item when you do a search, but there isn’t a starting time listed it means that it will most likely be back, but there isn’t yet a second auction for this item scheduled. You can just set an alert, and DealDash will send you an email when this item is going to return to DealDash. After finding an auction that you would like to be notified on, look on the right side of the screen. There will be a blue button that says “Alert Me”. Click on the “Alert Me” button, then when the item is coming up for auction DealDash will send you an email. You can keep yourself calm because you know that DealDash will let you know when the item of your choice will be back for bidding. I hope that this article on not psyching yourself out when using DealDash was helpful for you. DealDash has everything that you need for your home and family, from beauty products to snow blowers. Go check out the site and bid on some great items. Have fun on DealDash, and happy bidding everyone! Christmas was a few days ago, have you cleaned up all of your wrapping paper? If you didn’t get the gift you wanted, DealDash has some lovely gifts to get yourself. 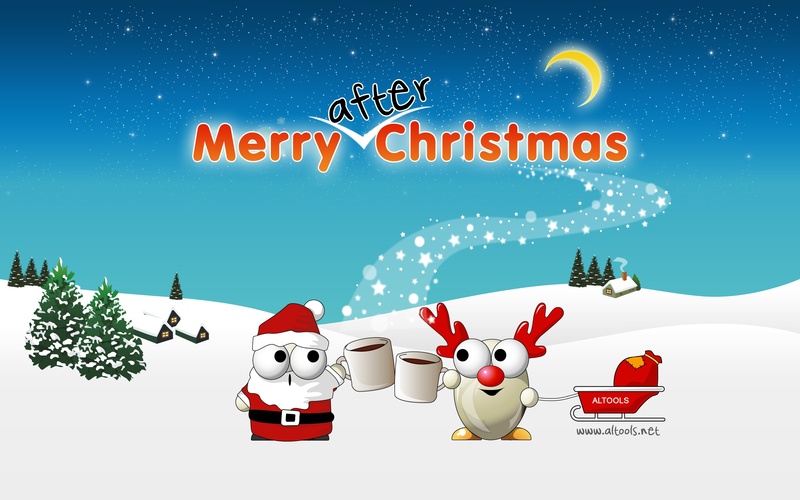 Did you have a wonderful Christmas with your friends and family? Were you able to get everything that was on your Christmas list? If not, no biggie! DealDash can help. Spend some time on DealDash, and get the rest of the items that you were wishing for this year. Get Practical Gifts Instead of Fun Ones? I love being a wife and mother, but sometimes people seem to forget that I have my own hobbies! In the past years, I have received vacuum cleaners, cute aprons, cookware, and a (very useful) electric teapot. Now, those are all fine gifts and I use them often, but sometimes on holidays I just want something silly and non-essential! However, I have to say, I use that electric teapot every single day. If you also got practical gifts this year instead of fun ones, what would you like to get yourself on DealDash? How about some beautiful jewelry? DealDash has a great selection of earrings, and they all come in little velvet bags that are inside a high-quality gift box. Make some new earrings a gift for yourself. If jewelry isn’t your thing, how about a new painting, purse, or candle? Did you know that DealDash offers free shipping on all of their auctions, no matter if you win or BIN (Buy It Now)? This is a huge improvement on many other websites. Sure, a lot of sites have free shipping, but only if you buy a certain number of dollars of merchandise. DealDash ships every single thing for free, even their $10 gift cards. On DealDash Shipping is always fast and free. This also goes for oversize items as well. No matter what the size, even furniture, DealDash ships them for free! DealDash has everything that you can think of to get yourself as a gift, and if you don’t win the item, you can BIN it. When bidding on an auction, if you don’t win the item it’s not a big deal. You can BIN it! When you BIN an item on DealDash, you will receive your bids back that you spent when you buy the item for the retail price. However, getting yourself a gift that you really want? Priceless. If you’d like to get yourself a late Christmas present, visit DealDash now to browse the auctions. I bet you’ll find something that you love. I hope this article got you thinking about what you’re going to get yourself as an “after Christmas gift”. DealDash has everything that you would like to give yourself. Go check out the site and bid on some great items. Have fun on DealDash, and happy bidding everyone!